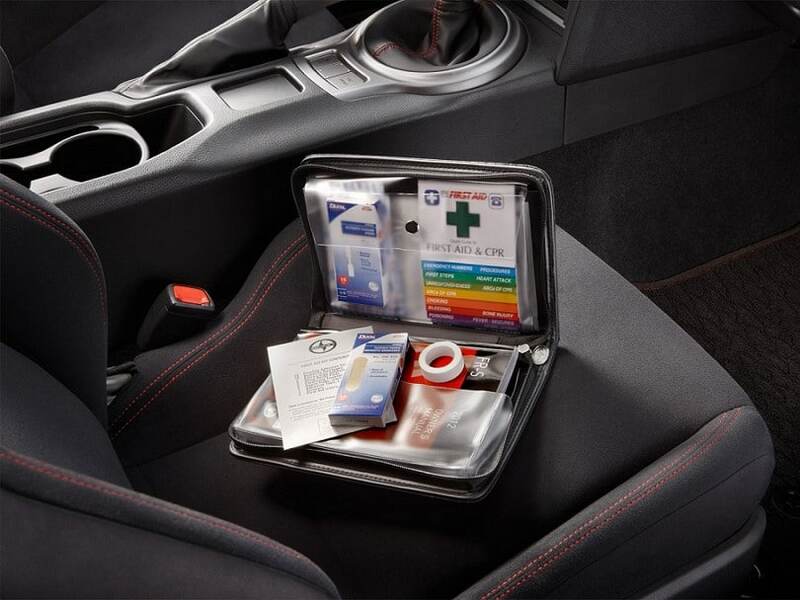 Having an emergency kit in your car can seem like an overkill, but it can be backed up by experience – you do need to have a safety kit in your car. Even if your car seems to function just fine, doesn’t mean that nothing can break while you’re on the road. Ending up with a flat tire in the middle of nowhere is definitely not in your plans. So, if you have an emergency kit in such a situation you may be able to handle it better. Not only that, but in heavy weather conditions a safety kit is almost a must-have for your car. If you end up in a bad snow storm, you may have to use tools like a shovel to remove all the snow from your car, or if it gets stuck somewhere on the road – to make way for the vehicle. The possibilities are endless, both when it comes to all the accidents that may happen, and the safety kit’s tools that can help in these situations. You may be surprised how many and various items the ideal car emergency kit should contain. Many of these items can be even helpful during a disaster event and can be even a basic survival kit. So, here are the items of utmost importance. Yes, it doesn’t seem to have anything to do with your car, but it has to do with your life and health. No matter the situation – nature disaster or roadside vehicle failure, you may need a first-aid kit. There are many prepackaged kits and it may be easier for you to purchase one. If you like doing things yourself, consider packing medications, Band-Aids, adhesive tape, antiseptic tissues and cream, special medications for particular conditions you or any of your family members have. Here you can choose from a list of high-quality first aid kits that have been thoroughly reviewed by us for your convenience. A good addition to your first-aid kit should be the seat belt cutter. In case a seat belt gets stuck and you need to release the person using it, you can cut the seat belt with the cutter. 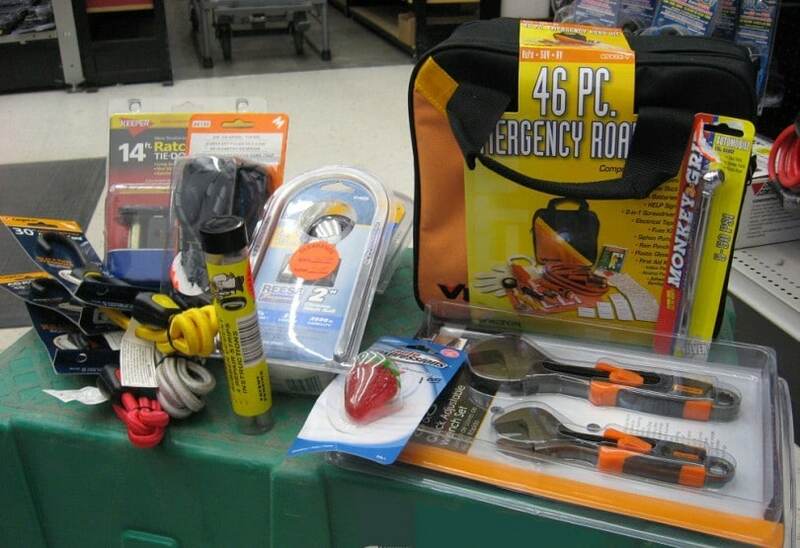 Many auto emergency kits should pack a seat belt cutter. They are helpful in case of road accidents as well and if the seat belt lock can’t be opened, cutting the seat belt is the only option. That one is so important that it can literally save lives. If you’re stuck somewhere or you’re in an emergency situation and need immediate help, a charged cell or smart phone can save you or your family. You may have to consider packing several batteries for your phone if you plan on being away for more than a day or two. Of course, pack the phone charger as you may have access to a power grid. Keep the batteries for situations when you can’t plug in and charge your phone from a power outlet. Another extremely valuable item to add to your emergency kit. It should comply with some standards and cover Class B and Class C fires. For a reference – Class B fires are such caused by flammable liquids like gasoline, diesel or kerosene. Class C fires are caused by electrical components like switches or batteries. As your car drives on flammable liquid and can power electrical equipment you need to cover these two in case of fire. This rating should be explicitly stated on the fire extinguisher and be rated by the NFPA, or National Fire Protection Association. This item will help you regularly check the air pressure in all your tires, including your spare tire. It happens often that people forget about the spare tire and don’t check it, in the hopes they will never have to use it, and when they end up with a flat tire, they realize the spare tire is flat as well. So, to avoid that, do regular checks on your tires before the accident happens. If your spare tire is flat, you can of course use a tire inflator. You don’t have to just accept that the tire is flat and wait patiently for some help. Keep a tire inflator in the emergency kit, so you can inflate the flat tire and move on. 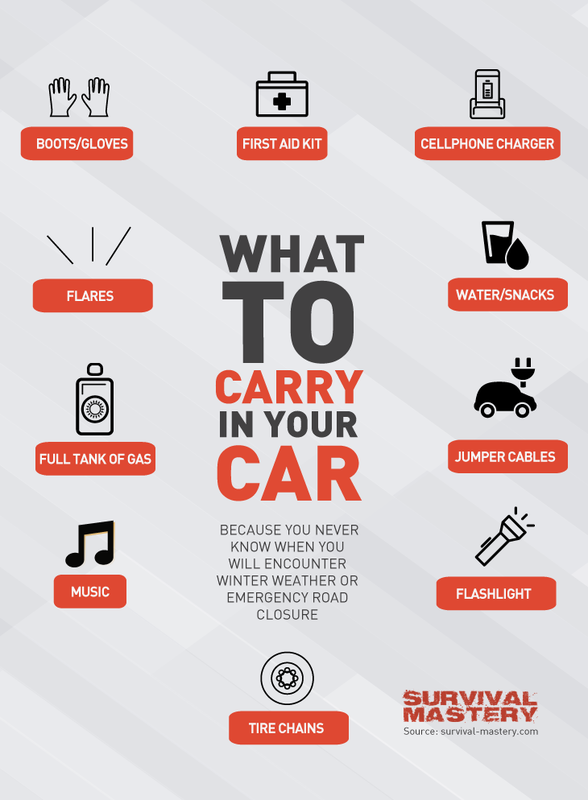 Many people keep a tire inflator by default in their car, but if it’s part of your emergency kit, it will be a top priority to always be in the car, at all times. Foam tire-sealant is useful if you don’t have a spare tire or it’s flat and you need to somehow repair the currently flat one. The sealant will temporarily close the broken tire and you’ll be able to move some miles to the next gas station for further help. A pretty quick and cheap way to get you on the road again. If you haven’t used jumper cables before, make sure you get acquainted with them, since it can be dangerous if you don’t know what you’re doing. They can be really helpful for recharging your car. Of course, you’d need another car to act as the charger, but if you’re on the roadside, there will always be someone to stop and offer help. If you don’t know how to operate with jumper cables, let someone more knowledgeable do it. Otherwise, read the manual carefully (jumper cables always come with a manual) and follow all the steps as described. Another must for your emergency kit. Not only that, but the flashlight should be waterproof. Also, pack several battery sets – don’t rely on only one or two. Here you can see a set of in-depth reviews for tactical flashlights that are not only extremely durable, but can also be used as a defense weapon in case of an attack. This can be an all-purpose item in your kit. It can repair and temporarily fix a lot of things, from flat tires to broken items and set them running again, at least for a while. There are lots of variants for this item, but pack one that can handle at least 6000 pounds (nearly 3 tons). 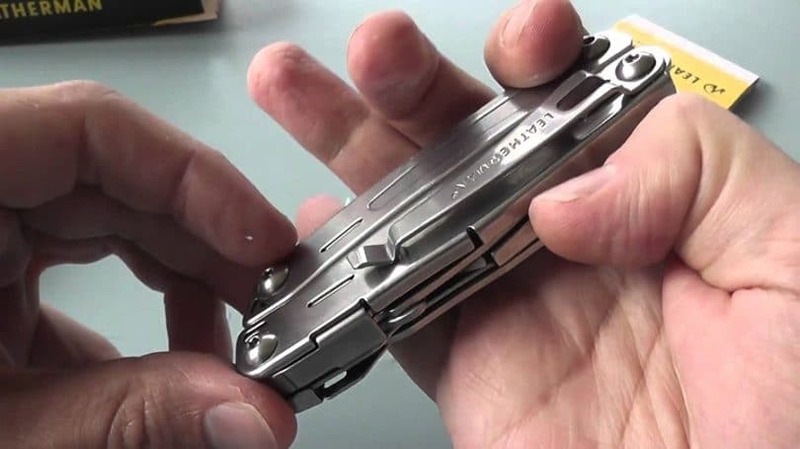 When you hear the word multi-tool you probably think of those small, back-pocket Swiss army knives. And you’re right. 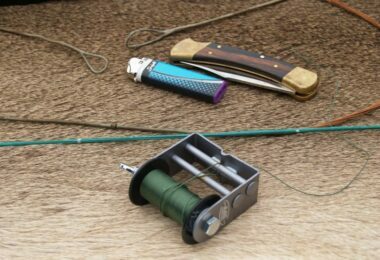 Even that one can help with all its gadgets and knives. Consider also the Leatherman tool. You should also pack a pair of pliers. They can be useful in various situations. A pair of screwdrivers may also come very handy, so keep them in the safety kit. Still, the best multi-tool will have both pliers and screwdriver so make sure you choose the best of the best. We have here a great set of products that we reviewed and detailed for you. The best and most inexpensive option is always the rain poncho. It’s very light and takes so little space that you may easily forget it’s there in your kit. 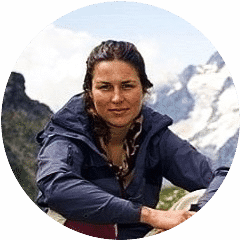 You may also want to consider thicker waterproof (and windproof) jacket and clothes. These may come handy in windy and rainy cold weather. In cold windy weather the rain poncho can be of little help. Two more valuable items for your emergency kit. Keep the water in plastic or aluminum bottles. As for the food – make sure it has a long shelf life. Such foods are canned foods, dried fruits or freeze-dried food, nuts, trail mixes, etc. Make sure you pack as much as you can depending on how many people this emergency kit has to cover – if it’s only you, or your entire family, as well. If you pack freeze-dried food, you may have to use boiling water to make the food edible again. 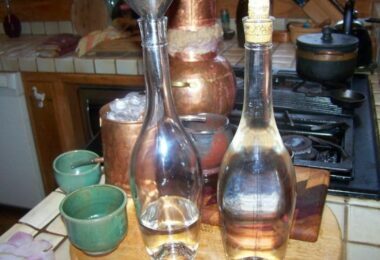 To boil water you may want to pack along a small compact (used by campers and hikers) gas stove. The only condition is that you never use it inside the car. Also, if you use it outside, make sure it’s far from the engine, especially if it’s windy, or it may cause combustion (if some part of the fire reaches the engine). Depending on the time of the year you’re travelling, there are a few more season-specific items you should consider. The above will cover well enough the summer, spring and fall seasons. As for winter you may have to add a few extra items to your safety kit. Take as many as you have to depending on how many family members (or friends and relatives) come along with you. If you’re stranded somewhere on the road, it will get cold in the car and as you’re stationary your body temperature drops and the feeling of cold increases. This one doesn’t need much explanation as it speaks for itself. 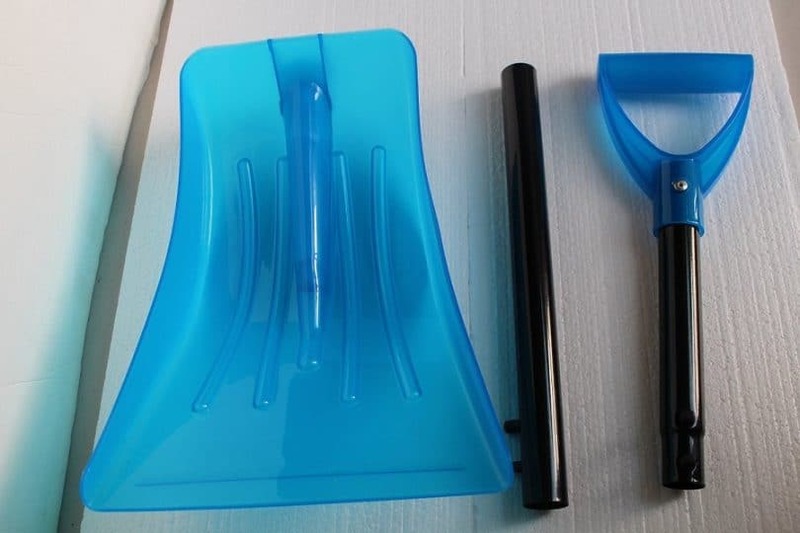 You can use the snow shovel to remove snow that has accumulated around your car, which will make its discovery harder. Also, moving the car will be much more difficult if there are feet of snow around and on top of it. We advise you to regularly clear the snow around your car, especially if it snows persistently. If there’s a heavy snowstorm, don’t leave the car – the strong wind and snow may blind you and you may lose orientation. AAA 4004 Red aluminum sport utility shovel has been rated very highly and it is a best-seller. This one helps for creating traction (or friction) when placed beneath your tires. Cat litter weighs significantly less and works the same. However, if you’re not that much into loading the trunk of your car with sand or cat litter, there are plenty of other products out there that are more efficient. Traction Magic is a great choice as it works on any surface and is a lot more reliable and safe. This will help you keep the windshield clean from ice and snow. 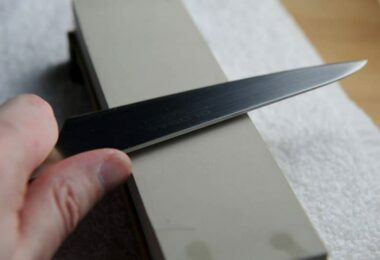 Clean it regularly to avoid frost accumulation. When in the context of the windshield, you should definitely pack antifreeze washer solution. Depending on where you’ll be driving and which areas you’ll be passing through, you should definitely pack road maps related to those areas. Don’t forget the warning lights (and/or road flares). They can be very helpful in the dark in order for a rescue team to discover your location. They make your location visible in the dark. Bring along also important documents, insurance and bank accounts, IDs and credit/debit cards. Place them in seal able plastic bags so they remain waterproof. In case you don’t have the time and energy to compile and pack your own emergency kit, there are many great options on the web to choose from. 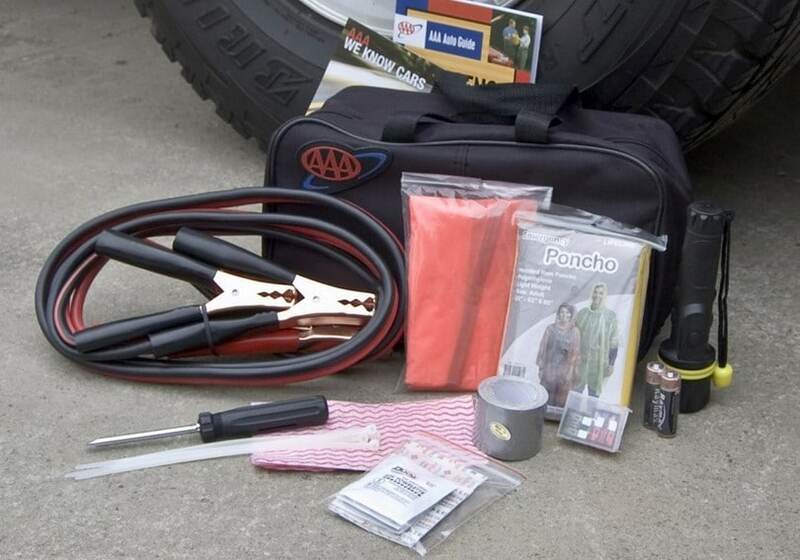 Top Gear Premium roadside assistance kit has been packed with 66 items. All of the items we listed above are included in this assistance kit, including a safety vest and hand-changed flashlight (which doesn’t need batteries). This can be especially handy if you’ve run out of your batteries and you still need your flashlight. Using a hand-changed flashlight can save you from ending up with no flashlight at all. This kit also packs a warning triangle, cotton gloves, electrical tape, etc. 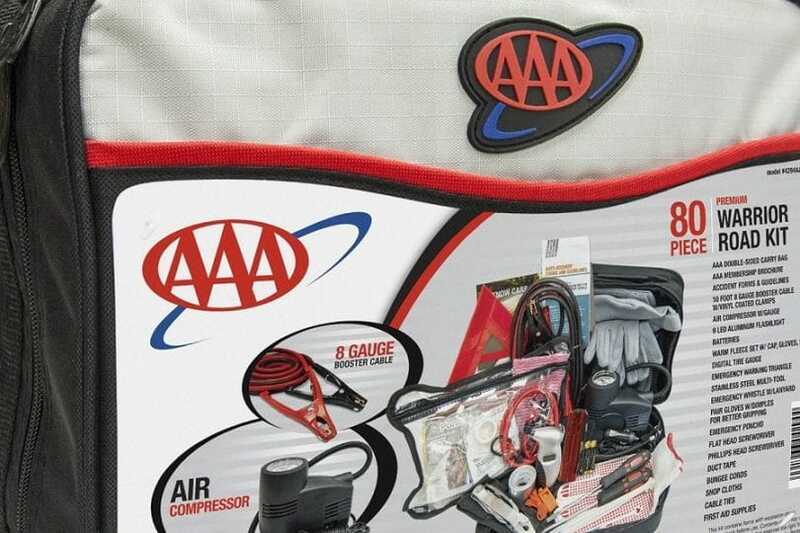 Another great product by AAA is the 80-piece warrior road kit. This emergency kit is packed to the brim with all the valuable items you would need in an emergency situation. They will make your time waiting for help more comfortable and will also make it easier for you to handle the situation yourself, at least to an extent. There is also a first-aid kit inside which covers almost all minor injuries that may have occurred. The entire emergency kit is packed in a comfortable bag that is surprisingly small and can easily fit in your baggage area. Your car may break down at any time while you’re on the road. You can’t plan to just stop in the middle of the highway, but at least, try to keep as far away from the fast lane as possible. If it’s manageable, move the car away from the highway in the first place so it’s completely off the road. Then you can safely see how to fix your problem. 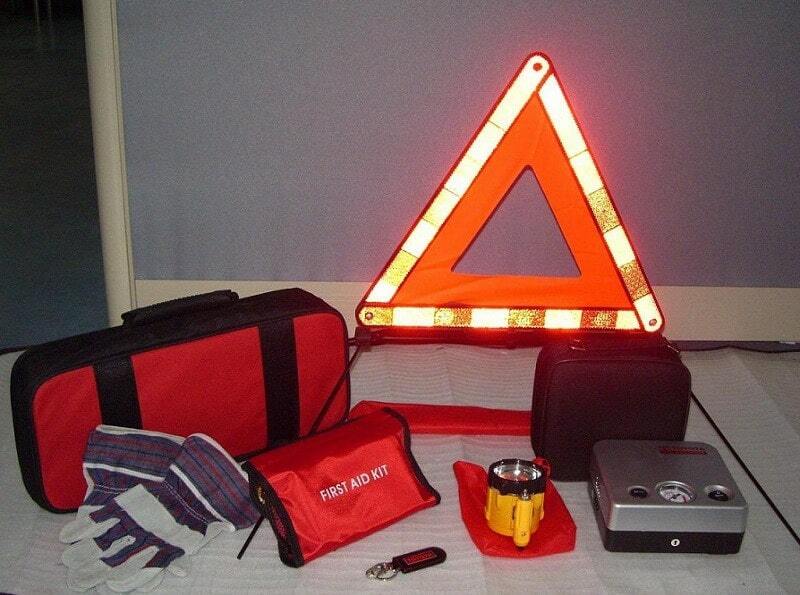 Always put a warning triangle or road lights/flashes to indicate you’re in an emergency situation and need help. This is especially important during the night. In this way you’ll be easy to locate. Another indication you’re in need for help is to keep the hood up (usually during the day) and to tie a white cloth or tissue on the antenna. You can also tie it on the door handle or any place close to the road so other drivers can easily see it. It’s an unconventional way of signaling for help. Always wear your safety vest, as it’s fluorescent and drivers can see you. It’s both for your own safety and for indicating to others you need help.